The Tensegrity Repair Series is a set of 20 simple exercises designed to restore healthy range of motion to the hips, shoulders, and spine. It helps to build supple strength in the core muscles, and balance and stabilize the pelvis. Overall, I’ve found it to be an amazing antidote to the most common structural and postural imbalance issues that I have personally, and that I see in the general population. It brings that little bit of grease back to our creaky parts. I was first introduced to the Tensegrity Repair Series a few years ago by my friend Christi-an, and I was intrigued but also annoyed by it. Trying it was a total hit to my ego. The exercises looked so simple, yet seemed to point a finger directly at all the little places in my body that were weak or not fully participating in my yoga practice. Unlike yoga asana (postures), in the Tensegrity movements, it was much harder for me to cheat. So, in the way that you often do when you encounter something truly good for you, I completely ignored our brief encounter and kept doggedly doing what I was previously doing. I continued doing what I was doing despite the feeling that I progressively feeling less balanced and stable, despite my best intentions to practice with good alignment and a balance of strength and stretch. Finally, I injured my shoulder in an inversion, and the pain persisted and increased for 6 months despite my best efforts to rehabilitate and seek good medical care. Finally, I slowed my yoga asana practice way down. I eventually took several weeks off, and then started back slowly with just the Tensegrity Repair Series, and then added asana back little by little. After about a month of practicing the Series, I noticed my shoulder recovery taking a turn for the better. I’ve also noticed much improvement and greater awareness of my seated and standing posture, increased core strength and greater pelvic stability, decreased back pain, and balancing in handstand is getting so much more possible! Another bonus, over time, I’ve found the Series to have an incredibly calming and relaxing effect on my nervous system. 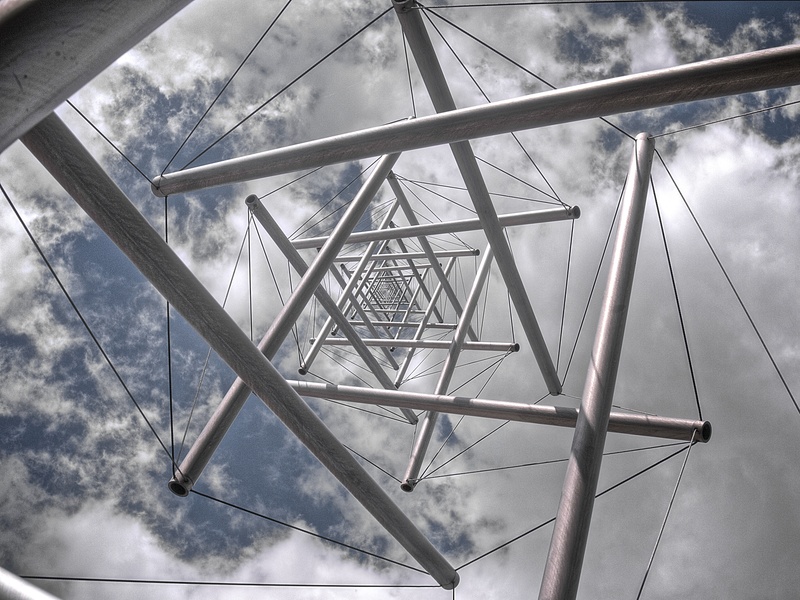 Tensegrity is a word coined by the architect Buckminster Fuller as a short form of “tensional integrity.” In a tensegrity structure continuous pull is met equally with discontinuous push. A simple example is a balloon or a bike tire where the continuous pull from the rubber is met with equal force of push of air molecules from inside, keeping it inflated. Our bodies are an incredibly complex tensegrity system where bones, muscles, tendons, ligaments, and myo-fascia (connective tissue) create continuous push and pull that is the basis for all physical mobility. When tension in the body is balanced, bones easily glide beside or dance around one another inside the soft tissue matrix providing ease of movement and long term health in the joints. When tension patterns become imbalanced– from common things like poor posture and over or underdeveloped areas of musculature– then tensegrity is compromised and so are our joints and muscles. For our joints, rather than gliding freely, bones may begin to snap against a tendon or fibrocartilage may begin to wear and this can result in long-term issues such as osteoarthritis or degenerative disc disease. Here’s a super cool and helpful video with Thomas Meyers showing a tensegrity structure and talking about how it’s such a useful metaphor for the body. Emma and Leena often incorporate some of the Tensegrity Repair Series movements into their classes, but it is really worthwhile to learn and practice them as an entire series. On Oct 24 we will have a wonderful teacher named Trudy Austin, who did a three year intensive teacher training with the Gioia Irwin, the creator of the Tensegrity Repair Series. 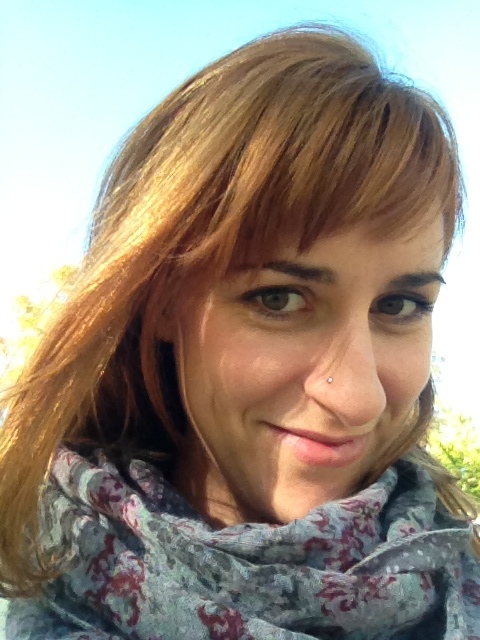 Trudy is based in Vancouver, and has over 800 hours of training in the Vijnana Yoga Tradition. She primarily teaches therapeutic yoga and the Tensegrity Repair Series. We encourage you to join us for a deeper dive into this useful and renewing practice.